Want one your competition doesn't have? how much of an impact it makes." 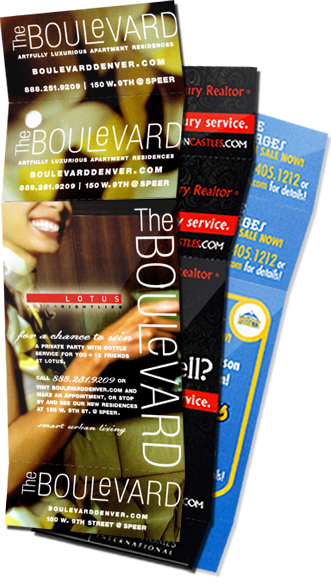 Every ValetAds valet ticket is divided into 4 separate pieces. Each piece can be customized with a specific offer or used to raise awareness of your brand. Valet Ticket Advertising - a totally different & unique way of reaching consumers without the clutter of traditional print and media advertising. Placed on the dashboard of the valet customer's car. Fastened to the valet customer's keys to take home. Handed to the valet customer when they arrive. Retained by the customer when they leave. Removed from Piece 3 when customer claims their car. Piece 3 is returned to the customer as a receipt. ValetAds are interactive advertising that must be used and seen by your potential customers. ValetAds spend time with your potential customers as they dine, shop and socialize. ValetAds tell an educated and affluent demographic that their business is important and sought after. ValetAds invest in a consumer base whose long-term business means tremendous returns! ValetAds offer advertisers exclusivity - eliminating multi-message clutter. 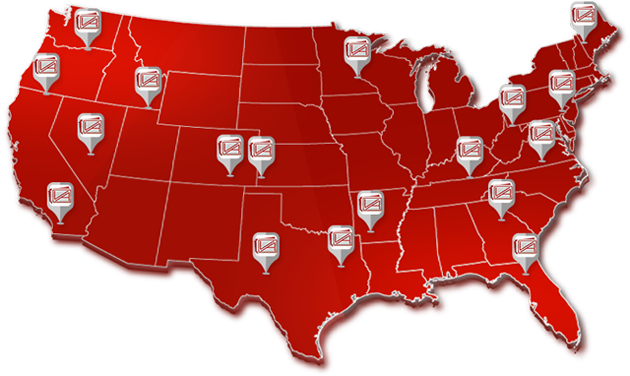 ValetAds advertising programs can be distributed by zip code, by city, by state, or even throughout the entire United States. 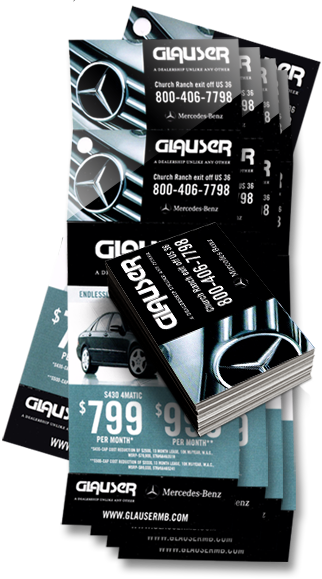 Our valet ticket advertising is available in almost every major U.S. market. Just ask!